Japanese Maki-e Art dates back 1400 years and is a highly respected and rare form of art. There are but a few living Masters of this art form who continue to keep this tradition alive. A skilled Maki-e Shi (artist) has begun his learning at an early age and works as an apprentice to his master for many years before he may set out on his own. 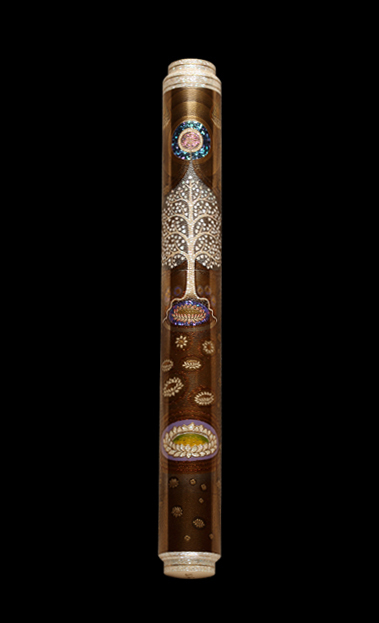 Maki-e Art features Urushi lacquer (sap from the Urushi tree native to Japan), along with gold powder and other precious metals and powders painted and inlaid into the most exquisite designs that require great skill and precision. The many levels of Maki-e techniques found on our pens include Hira Maki-e, Togidashi Maki-e, Taka Maki-e, Shishiai Togidashi Maki-e and Bokashi Maki-e.
At AP Limited Editions we pride ourselves for having created some of the most exquisite Works in Maki-e ever found on writing instruments. The Connoisseur features our most exclusive and exquisite range of pens that showcase the highest level of artistry achievable in Maki-e. The pens in The Connoisseur are larger in size and have an eye dropper filling mechanism as seen in the early 20th century writing instruments. The edition size is always limited to 9 pens in each theme. The pens are equipped with large 18K Gold nibs available in Extra Fine, Fine, Medium and Broad nib widths. These pens are authored by the most honored and revered artists of Japanese Maki-e Art. They are true heirlooms worthy of being handed down from generation to generation. The Writer is an exemplary work of art in a smaller sized pen. These pens are equipped with twist converters to fill ink and are easy to travel with and place in a shirt pocket. 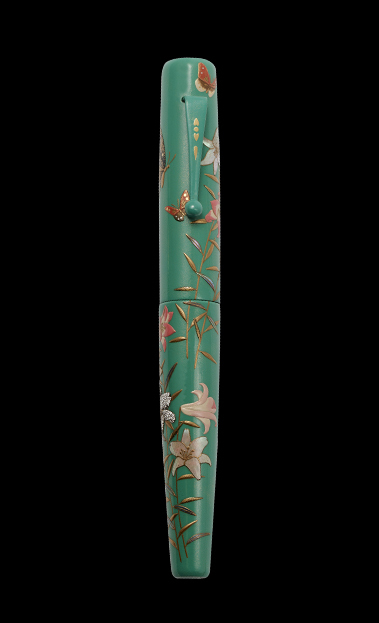 The pens are painstakingly handcrafted by renowned artists and masters of Japanese Maki-e. The pens are available with 18K Gold nibs of a smaller size in various widths to include Super Extra Fine, Extra Fine, Fine, Medium and Broad. The pens are limited to between 9 and 18 in any given theme or color. Some of our Writers come with clips while others are without clips. We also offer Roller Ball pens in this range. We offer a nib customization service to our collectors.